Your reputation matters. Show you care about infectious disease control and prevention by participating in the Infectious Disease Management Certification Program. 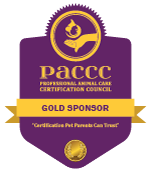 The certification program, sponsored by IBPSA, the National Association of Veterinary Technicians in America (NAVTA), and Pet Sitters International, was created to help pet care businesses stay free of infectious disease. To remain competitive in this growing market, pet professionals must keep their pet owners happy and that means keeping pets healthy. In 2016, leading experts on infectious disease developed a consensus statement to recommend best practices for pet care and safety for pet professional businesses such as pet boarding facilities, veterinary facilities, doggie daycares, dog walkers, groomers, and training facilities. The Infectious Disease Management Certification Program covers the topic of best practices of sanitation and prevention of infectious disease spread. The program is offered for FREE, BUT REGISTRATION IS REQUIRED to attend the seminar and to become certified. The Infectious Disease Management Certification Program will discuss common transmissible diseases of dogs, including pathogens of CIRDC (canine infectious respiratory disease complex- including dog flu), Leptospirosis, Parvo, and Distemper. The educational presentation lecture will give an overview of the incidence rate, how to recognize the clinical signs of illness and how to recognize signs of illness in dogs, and prevention. Management of outbreaks in group environments such as pet boarding facilities and doggie daycares, and options for prevention, including vaccination and sanitation protocols, will also be discussed. For the latest live seminar presentation, please see our Events page.